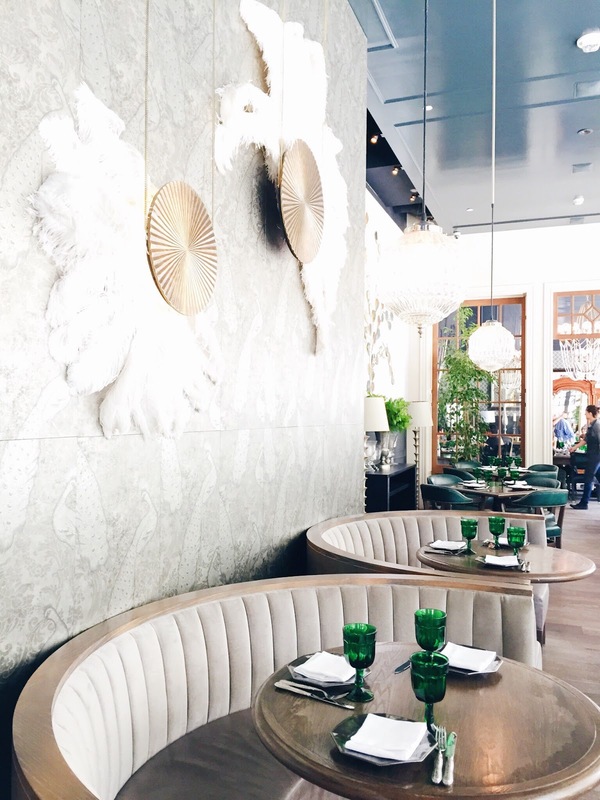 Faith and Flower has become my absolute favorite restaurant in downtown Los Angeles. It's decorated beautifully, like Gatsby's 1920's mansion. The food is equally spectacular, particularly their dinner menu. A few favorites of mine: the deviled jidori eggs, oxtail agnolotti, roasted mushroom pizza, and young leaf lettuce salad. I haven't yet tried the cookie board for dessert, but I can already tell you it's fabulous. This place is a definite must try for any time spent downtown! Enjoy! 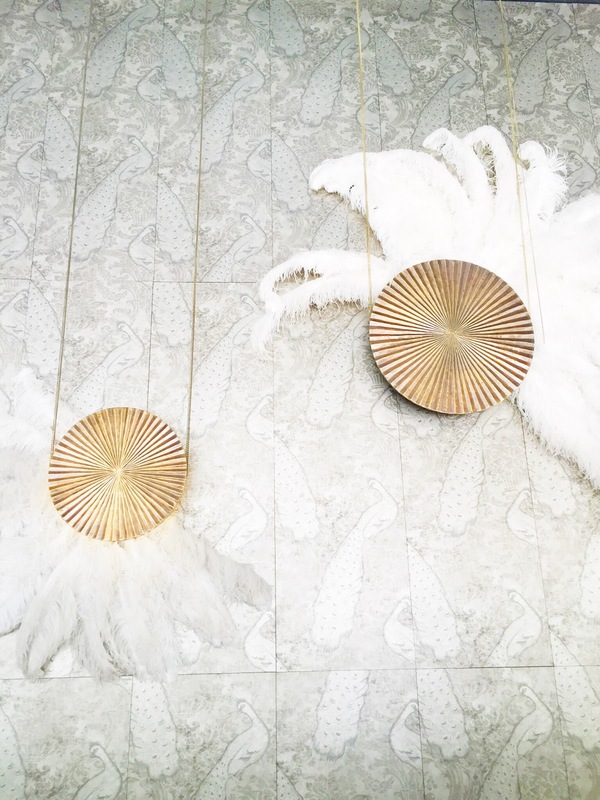 The space is so bright and pretty during the day, glamorous and sophisticated at night. It's really quite the win win situation. 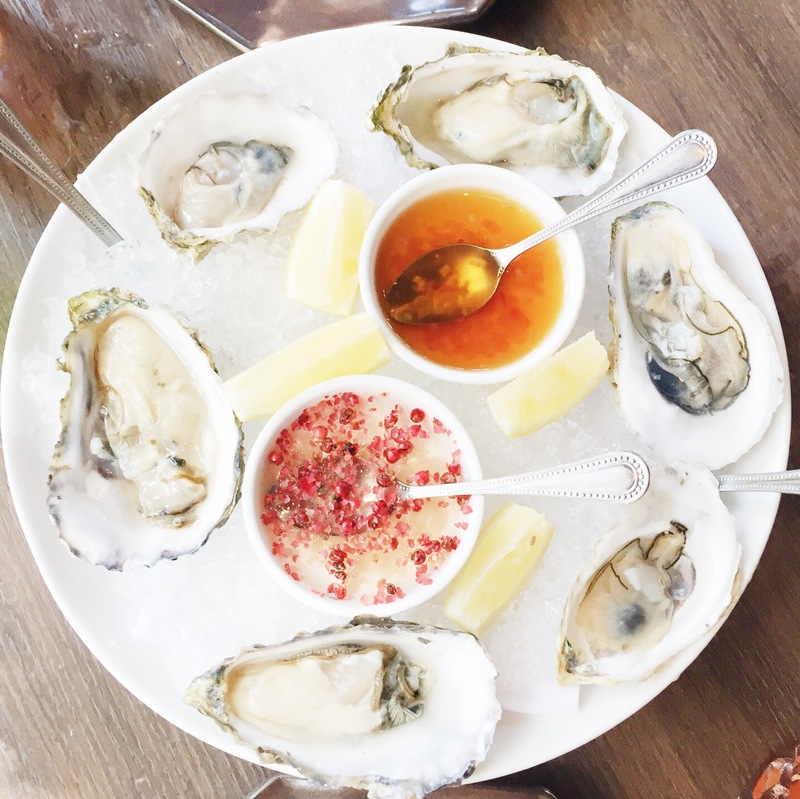 If you are going for brunch/lunch I would highly recommend trying the oysters. You can trust they will have a fresh selection from the oyster bar, visible right when you walk in. 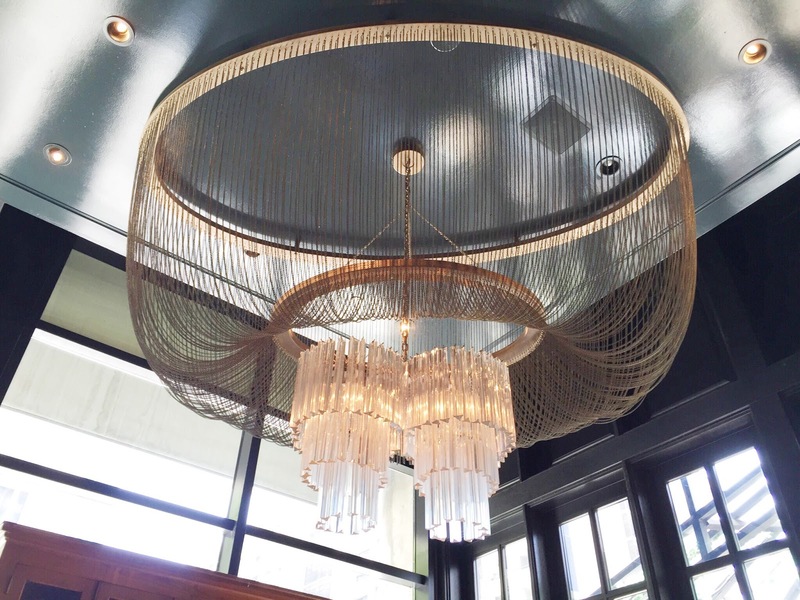 No words for the amazing chandelier! Oh how very pretty! The drinks at brunch are a little different then dinner, but I loved the Frag and Mentha, Maison's Collin's, and Solo Oaxaqueño. 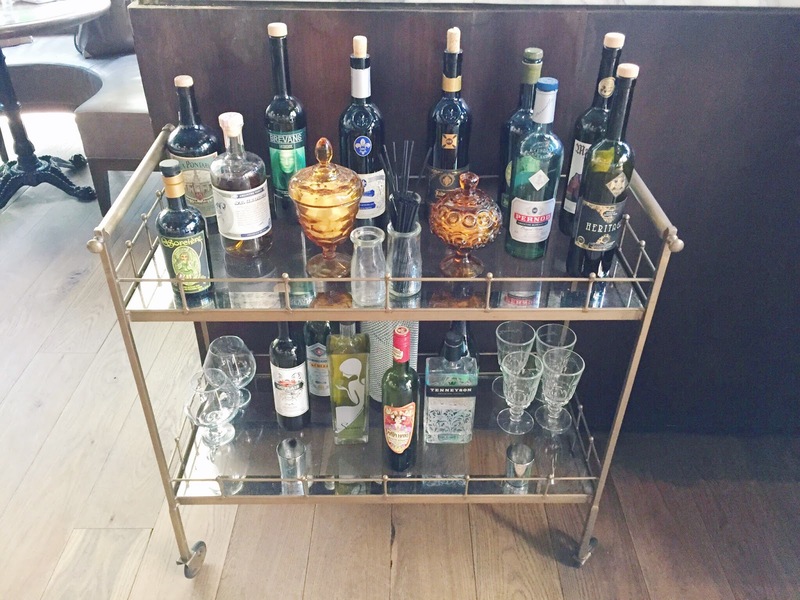 My favorite design element has to be the glorious bar cart sitting right at the entrance. Even though they don't serve actual drinks off the cart, it sets the right tone for a fun night and is 100% Instagram worthy. And of course they have a real bar that is way prettier at night! The counter is mirrored and so incredibly chic with a beautiful cocktail on it. 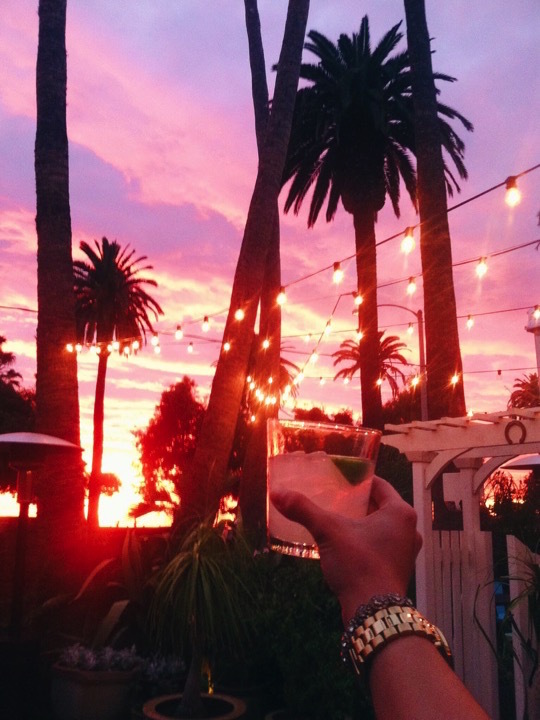 A perfect date night drink spot! 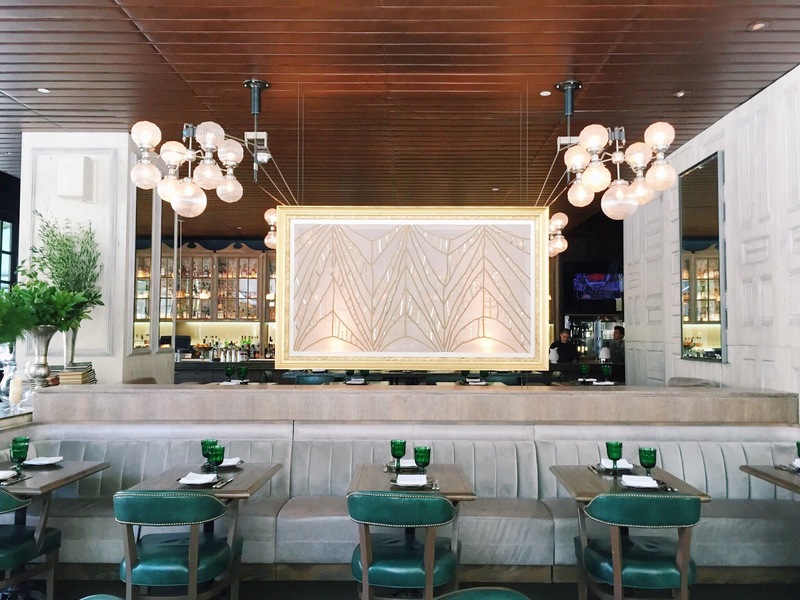 The space has wonderful layers of neutrals, art deco fixtures, and green accents. Designed by AvroKo, the space is a perfectly glamorous and without being too ornate or heavy, a modern version of a 1920's salon. Perhaps the most overlooked spot is the wonderful patio! I have yet to eat outside, but isn't it just darling? 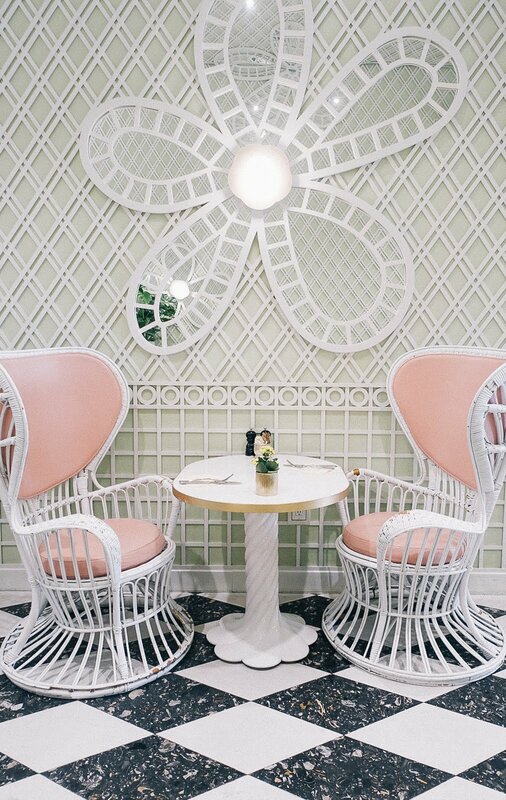 I love the french bistro style chairs and all the bright light pouring through! 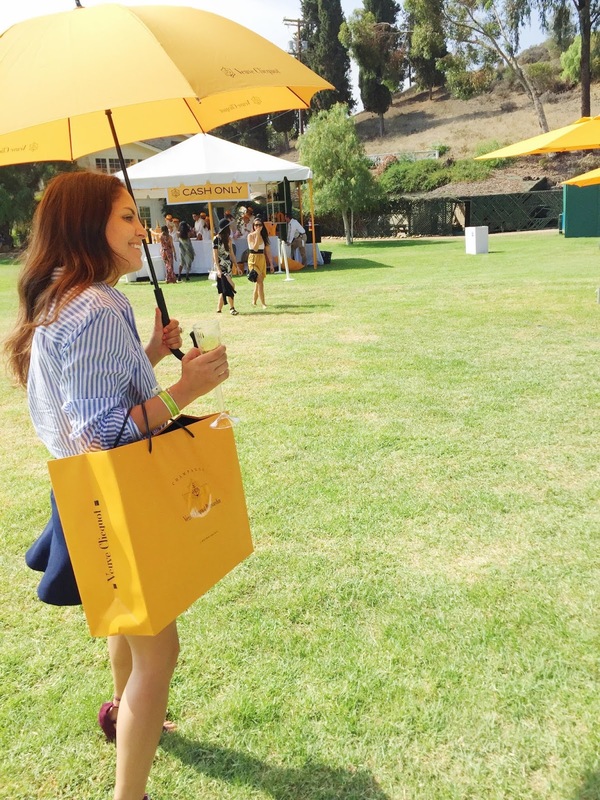 My favorite day in Los Angeles just came and went at the Veuve Clicquot Polo Classic! 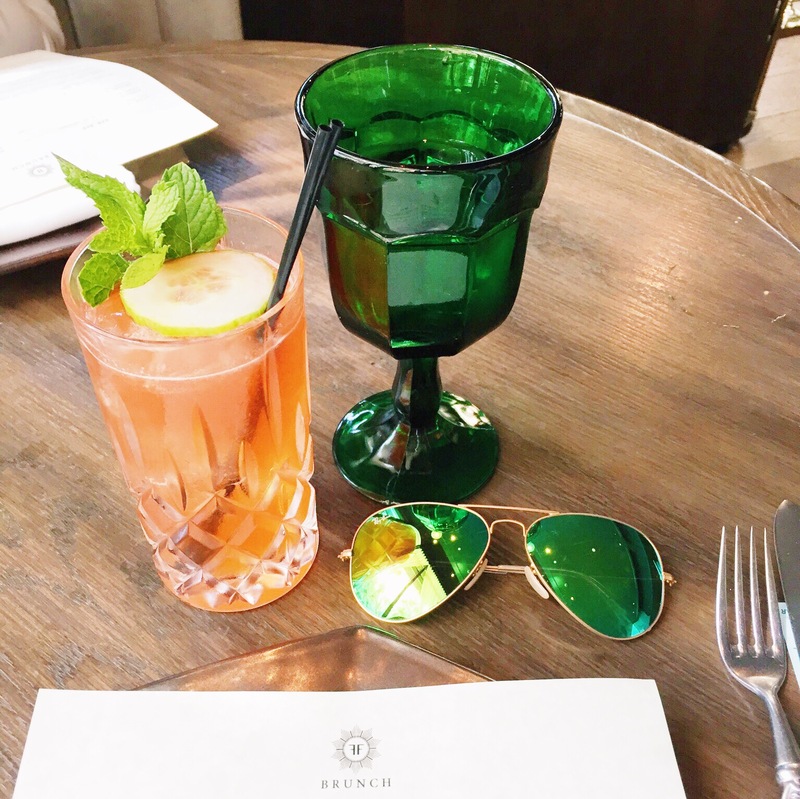 The sun was out, the grass was green and the rosé was flowing. 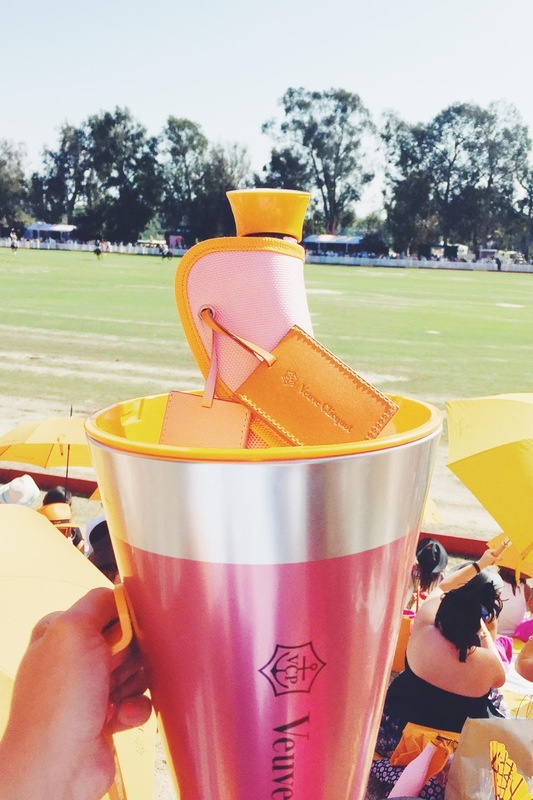 Polo ponies, pastels & champs. What more could a girl ask for? Enjoy. Every other year I've worn a dress but this time I wanted to change it up. So I decided to go back to basics; big stripes, a little flare, and my favorite tassel. 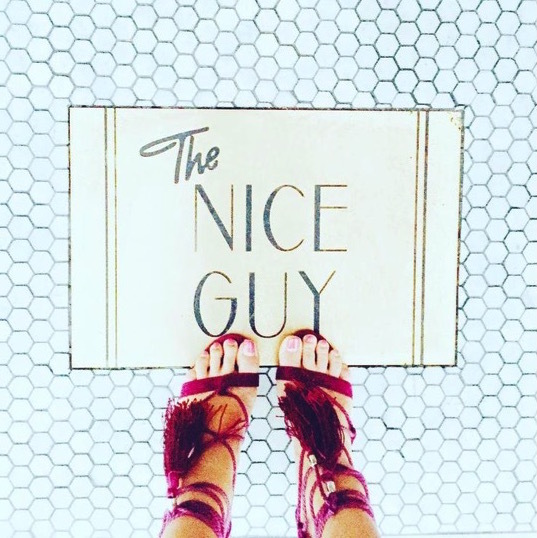 I received so many tassel shoe compliments, they can be found here, hopefully they aren't sold out yet! The theme of the day seemed to be rosé all the way. Literally, almost every guy there had a bottle of pink champs, with the sweetest sleeve jacket you've ever seen. I loved it all. 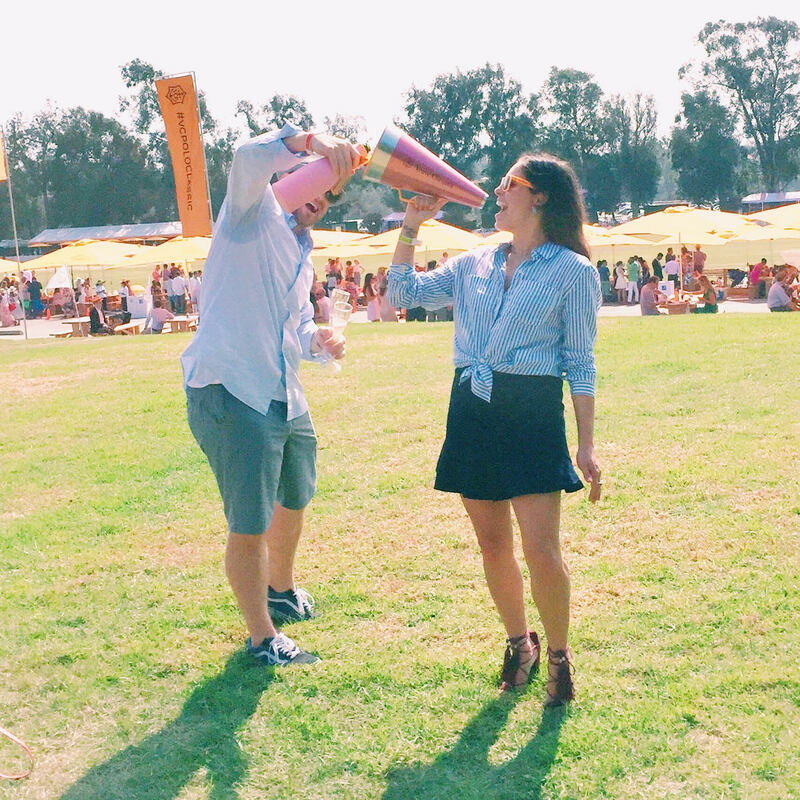 In keeping with the rosé theme I had no other choice then to go after the Veuve Clicquot megaphone! 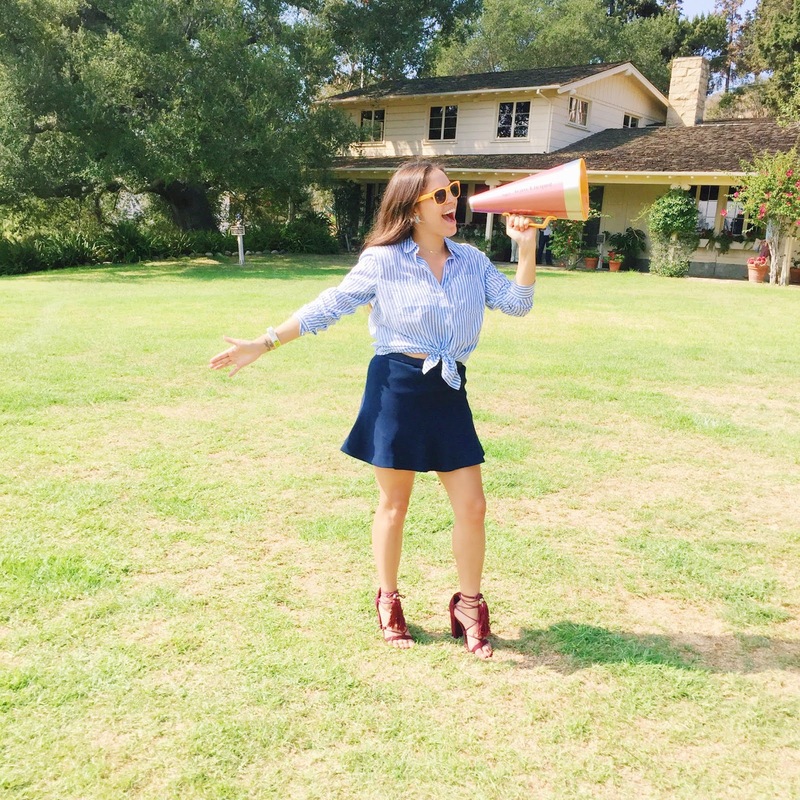 It's actually an ice bucket, but I really wish it functioned as a real megaphone. #Monica'sMegaphone. 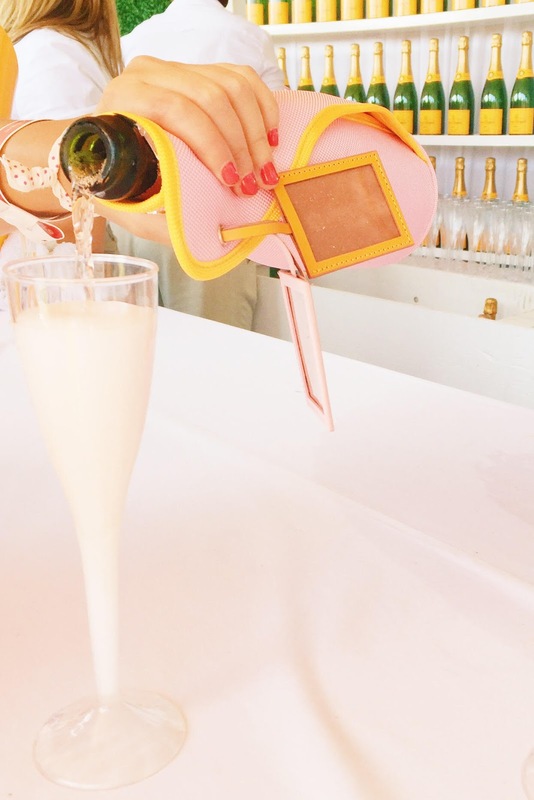 Or an actual rosé funnel ... which would have made my college days way more fancy! Polo is one sport I really enjoy watching. The horses are so beautiful and the match is action packed and quick! Nacho Figueras continued to amaze the audience as always and played alongside his wife Delfina Blaquier. Talk about a power couple! Lucky for me I had my own rosé holder/cheering utility for the match! 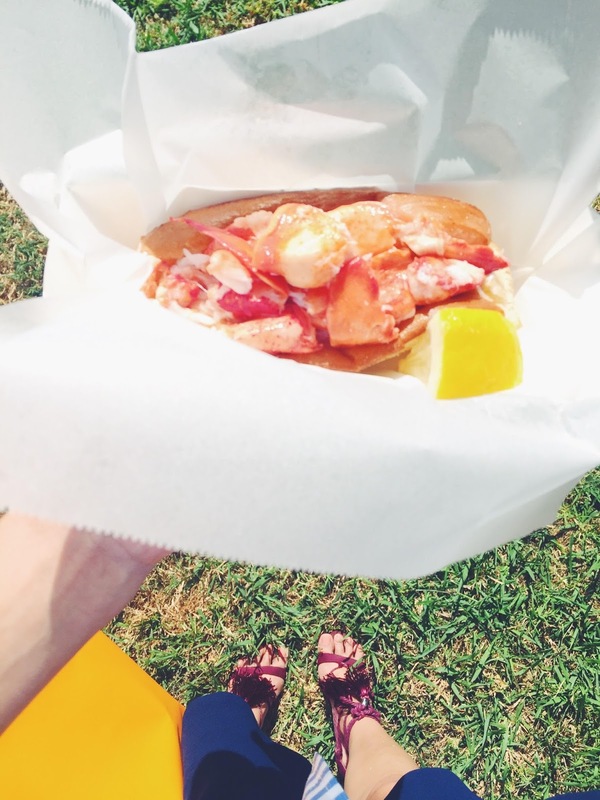 And found the perfectly sized lobster roll from Cousin's Maine Lobster's food truck. Had to order the cold, Maine style for this hot day in Los Angeles! What a successful day at Polo, thanks Veuve Clicquot for another great event! 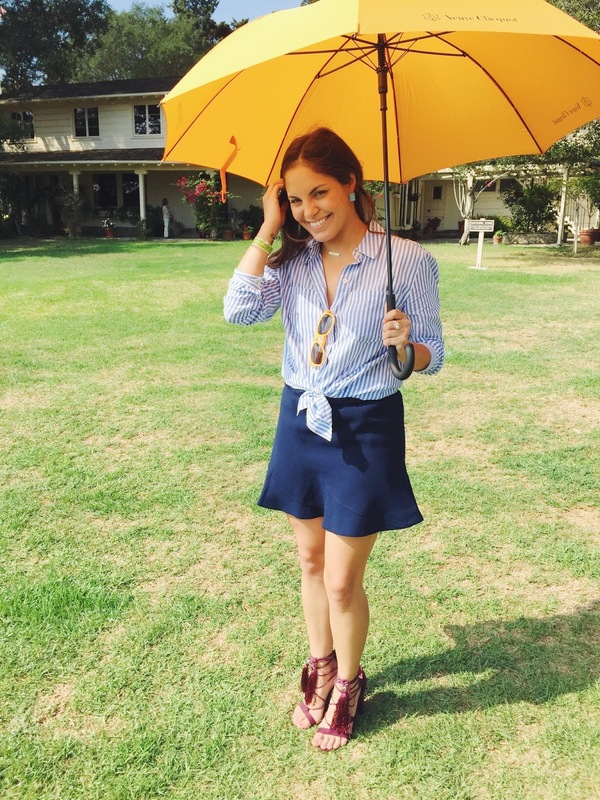 Well it's the "Fall season" in Los Angeles, despite the 100+ degree days, and even though I can't quite indulge in sweater weather just yet, I am super excited for one last bit of summer with my favorite event, the Veuve Clicquot Polo Classic! 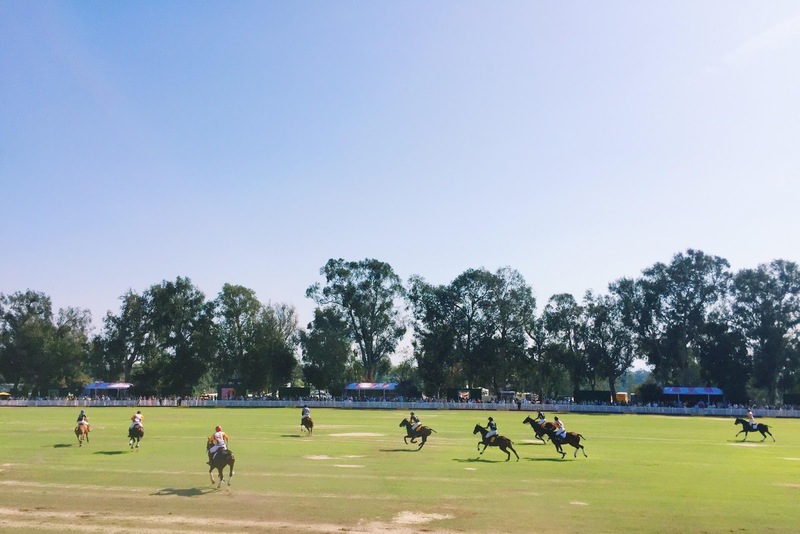 It's everything you'd expect a polo to be with all the well groomed horses, a sprawling green field, preppy day wear, picnics on the lawn, umbrellas and wide brimmed hats, dashing polo players and more importantly, some wonderful champs! Hope to see you there! I just found out about this awesome bike sharing program in Santa Monica, similar to Divvy in Chicago, where you can rent bikes by the hour or day. I am surprised it took so long for a bike sharing company to come to Los Angeles, hopefully it becomes available throughout the more areas of the city. 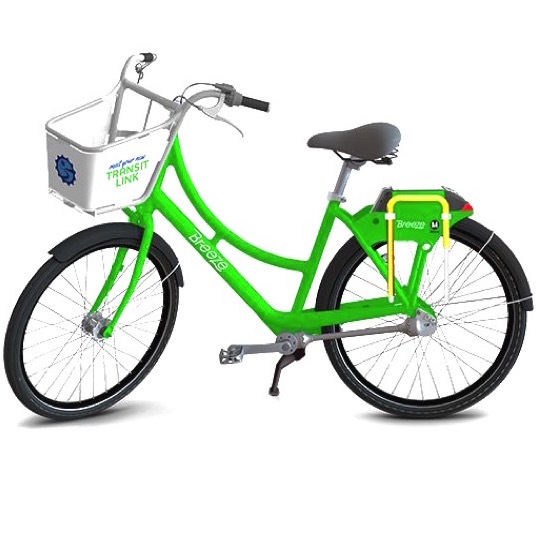 I'm so excited to try it out and ride on over to the beach, just waiting for a forecast of 80 degrees or less! No, it's not an addition to the small world ride at Disneyland! Call it magic, this is a REAL place! 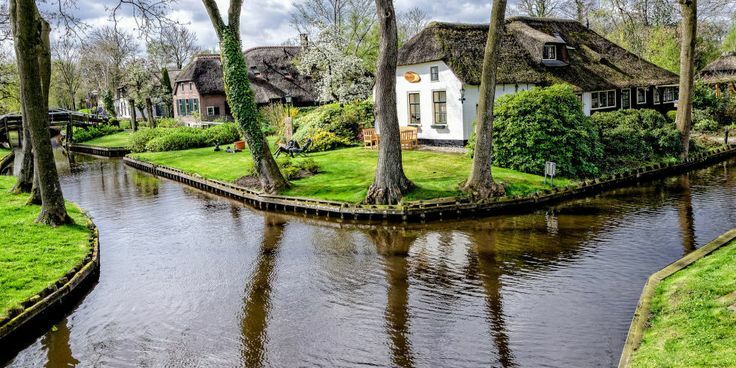 Thank you Town and Country Magazine, for reporting on this picturesque place in Northern Holland, where the only way around is by boat! It's truly one of those fairy tale places, far far away, that I would like to purchase a plane ticket (and boat ride) to! I LOVE Fall! 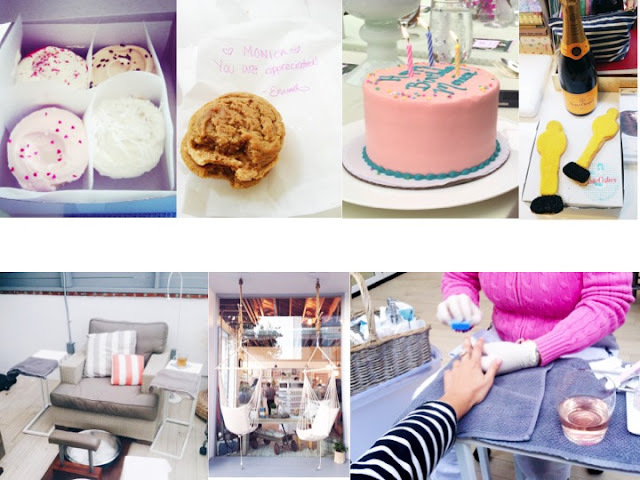 But with the current heat wave in Los Angeles, I'm in need of an iced twist on all the season favorites. An iced pumpkin spiced latte might not hit the spot, but I am sure this apple cider mule recipe will! How genius? 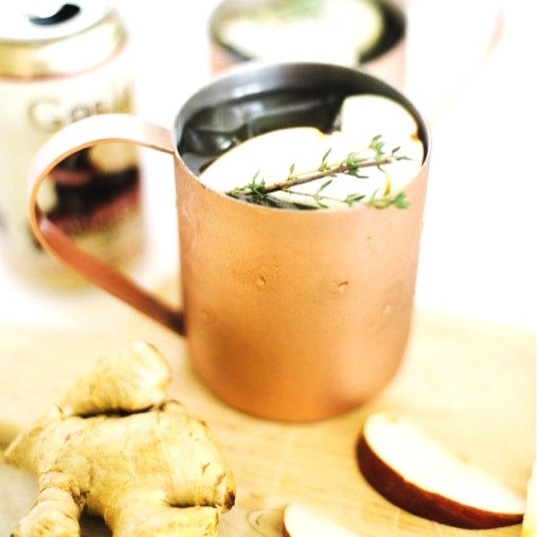 I love a classic Moscow Mule and hot apple cider, what a perfect combination. Can't wait to make these for friends and serve them off my bar cart! 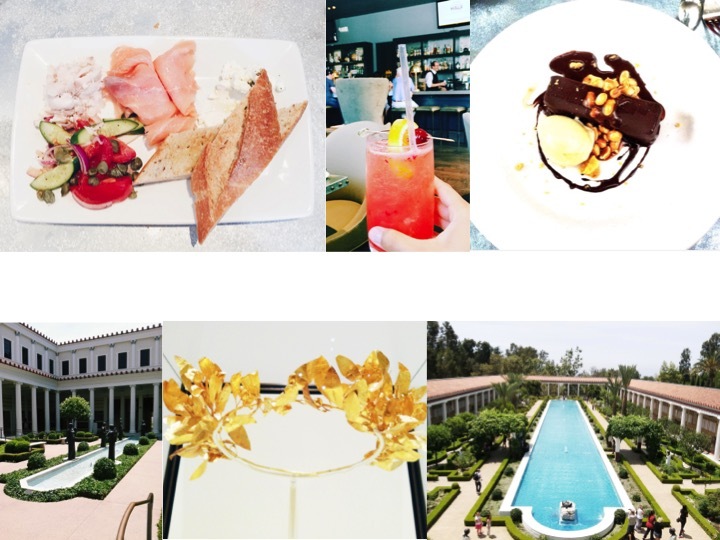 I'm always on the lookout for new places to hang out in Los Angeles and this one is a must try! 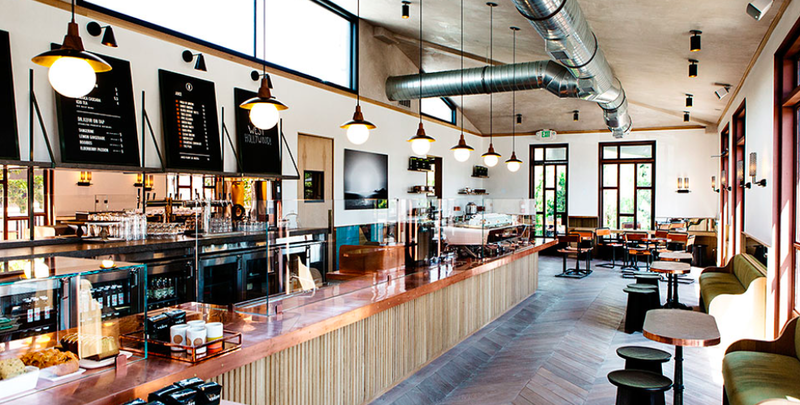 Despite the amazing coffee and high tech espresso machines, the space is stunning! 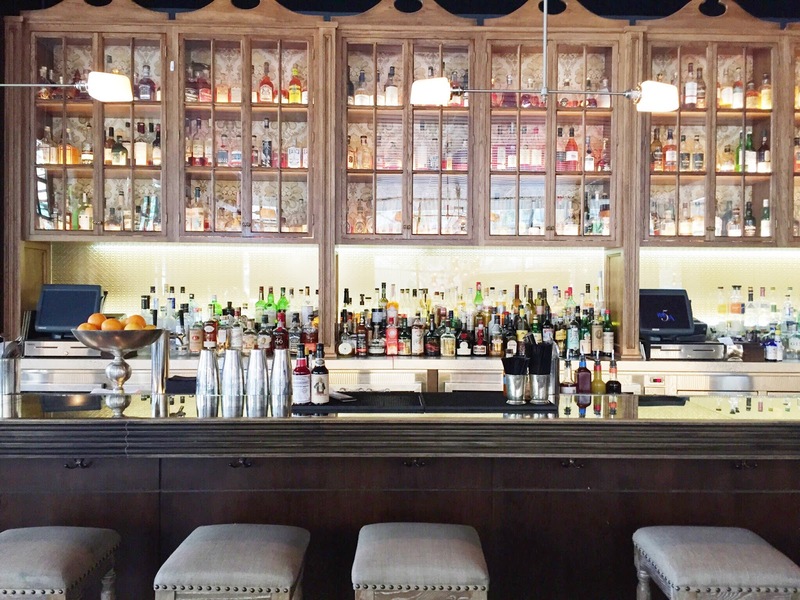 I absolutely adore the copper bar, green sofas, and perfect herringbone patterned floor. Did I mention the lovely outdoor patio too? Located right on Melrose Ave, just west of Robertson Blvd, it's the perfect spot to bring your laptop, work, relax and people watch. It's java chic. American philanthropists Eli and Edythe Broad's extensive private collection of significant contemporary art is now open to the public in a brand new, free museum in downtown Los Angeles. 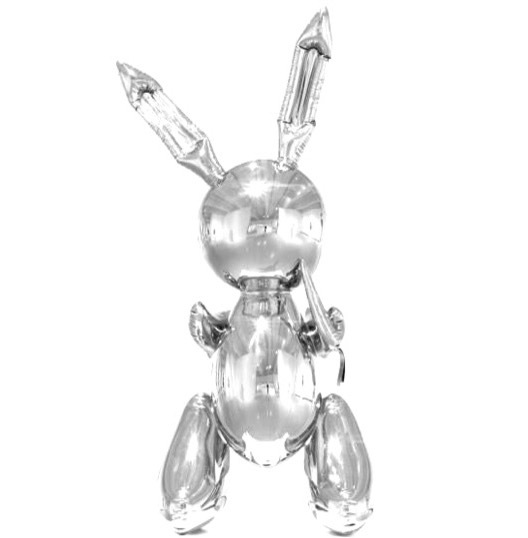 As a lover of art and design, I am very excited to see all works up close! General admission is free, but tickets have been hard to get ahold of since the place opened on September 20th, 2015, so do reserve online, ASAP! Ever since seeing Marissa Webb's chic tassel pumps swinging down the runway at New York fashion week and realizing I totally missed the boat on the J. Crew Roxie Ankle Tie pumps last Spring, I have been on a serious mission to find something comparable, and preferably at a reasonable price point. And guess what, I did!!! After some serious SOLE searching I found the perfect tassel tie heels in the most fabulous Fall shade! Grab a pair, as I am sure they will sell out! 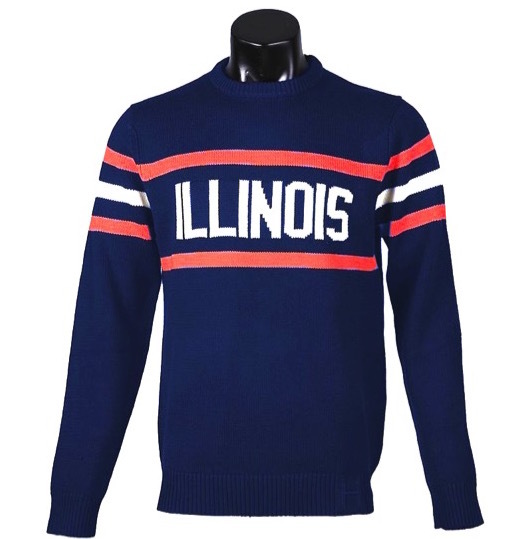 It's football season and I can't help but swoon over this vintage college sweater and support my Alma Matter, the University of Illinois, find your school here. This actually makes me want to go to Homecoming and tailgate, a true football miracle! Hope you loved the M list! I've lived in Los Angeles now for four years and it honestly feels like home. People are always coming to visit my bestie and I, and I must say, we are superb hosts! We love entertaining and showing off this beautiful city that now feels all so familiar! Naturally, I intend to share some of my absolute favorites. Disclaimer, this list started much longer, however, I narrowed it down to my personal best! More city guides and hotspots to come, I promise, enjoy! It's just classic. Nestled in the heart of Beverly Hills, right on the lushest stretch of Sunset Boulevard, sits this iconic property, known to many as the pink palace. 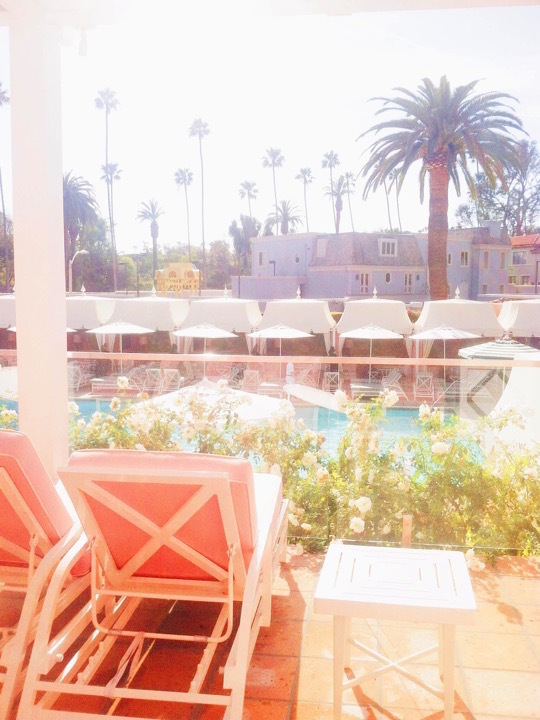 The Beverly Hills hotel exudes timelessness in a city that is otherwise new in every other sense. 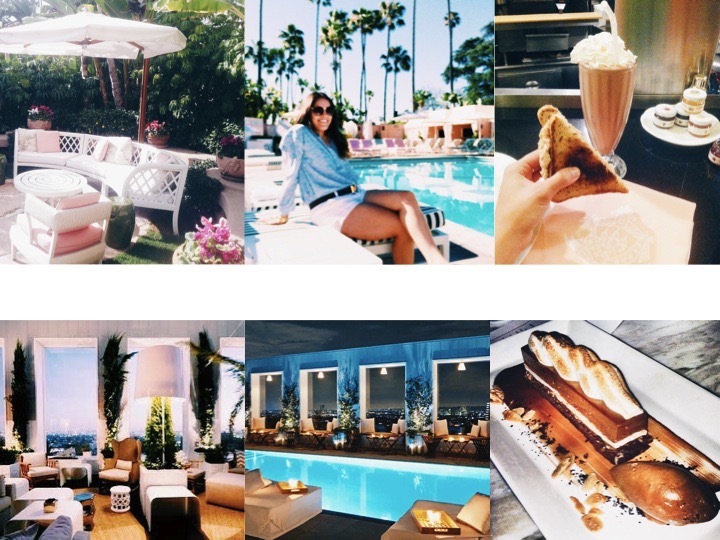 It has a touch of Hollywood glamour but it's more subtle (for Los Angeles) and really the charm lies in the old money, Florida country club feel it exudes. I love pretty much every inch of the place, but my favorite spot is the 50's style counter diner in the basement, where I can easily get a milkshake and grilled cheese as it just makes sense (no worries, they have juice too LA). It's just a wonderfully sweet and easy spot, old fashioned in the most spectacular way. I'll admit that the crowd here often feels "too Hollywood" for me, however, every time I come I'm reminded this outdoor space at The Mondrian Hotel is truly spectacular. The view speaks for itself, perched above the entire city, right off the notorious Sunset strip, Skybar can make the night feel invincible. The glimmering pool, glass window pains and view from the top will instill some Entourage in you, and does a good job of embodying Tinseltown's nightlife scene. The adjacent restaurant, Herringbone, also shares a view, more info here, and has delicious seafood (and delectable decor) all while sharing some of that surreal Skybar view. 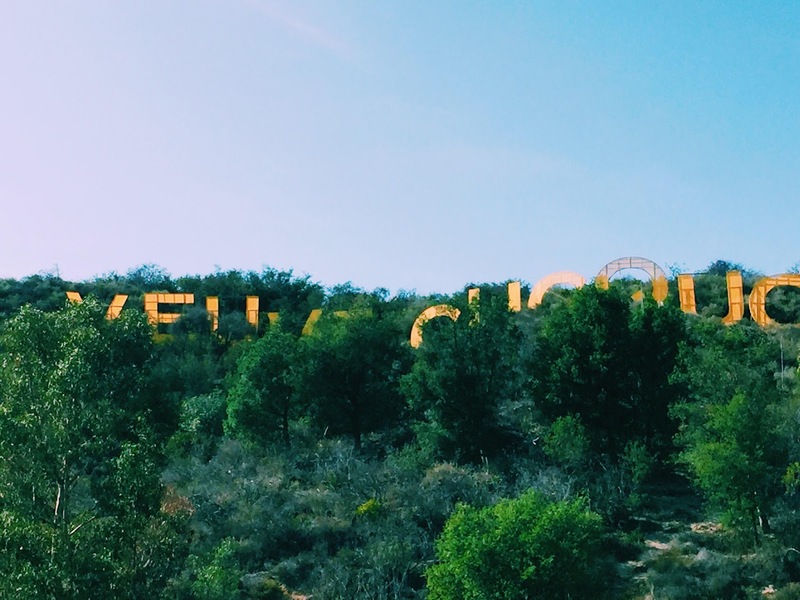 A great place to take visitors and really show off Los Angeles. Casual chic would be my go to description for this urban oasis found right on the border between Brentwood and Santa Monica. 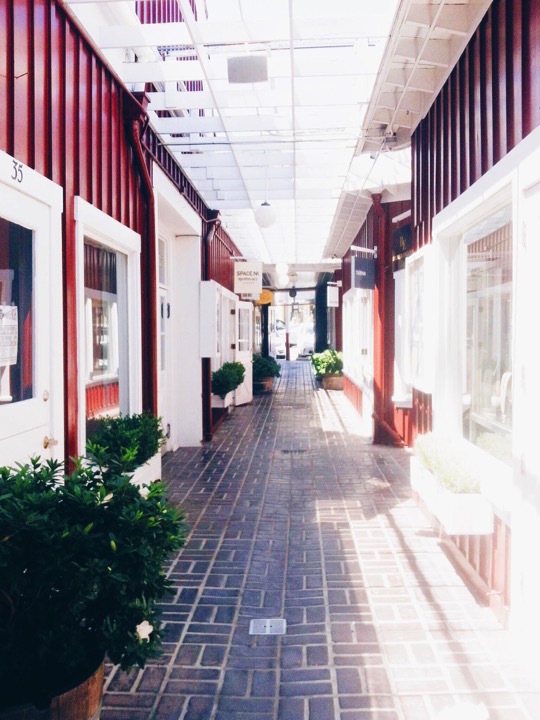 It's a great place to grab a quick lunch or coffee post work out, pick up some cute gifts for friends, or shop contemporary fashion labels. Its super kid friendly and low key but absolutely adorable in a country like, summery kind of way. The Mart is set up like a small town center where you can pick up flowers, get a haircut at the barber shop and even send/retrieve mail (yes, they have a post office). 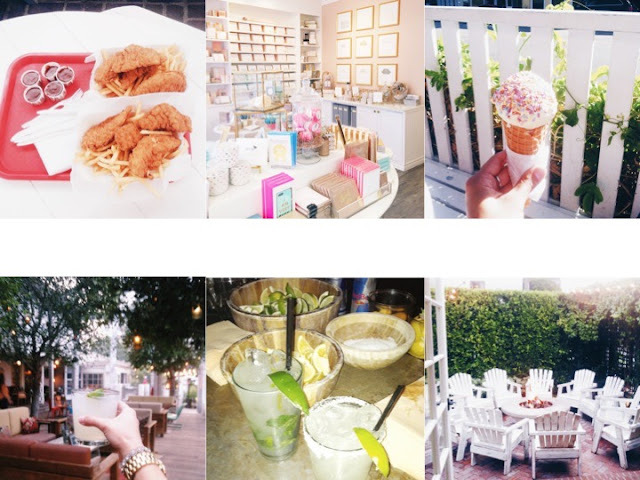 I'm obsessed with the most Pinterest worthy stationary store Sugar Paper, the novelty of a real life bookstore Diesel, the fried chicken and ultimate comfort food at Reddi Chick, and the resort wear at Calypso St. Barth. The locally sourced restaurant Farmshop has not only a spectacular brunch and dinner menu but also the most shoppable deli and prepared foods section, perfect for last minute dinner party needs and hostess gifts like wine and unique marinades. Oh and did I mention they have an old fashioned ice cream shop? Mmmm, a must try! There's simply no other place like it. Like being invited to a house party at someone's Southern California beach bungalow, the space plays host to some of Los Angeles' most good looking youngsters, for the most part unaffected by gaudy-ness of Hollywood flash. My favorite time to come here is on a Thursday or Friday, around 5pm for happy hour and prime sunset views. It's a bit rowdy at nighttime, especially on weekends and the lines can get long. The setup is just so key to its' unparalleled success, with a ping pong table, outdoor fire pit, a ski lodge-ish living area, and great big outdoor patio and bar. The space feels so relaxed and comfortable, like a california inspired hacienda that's serves a mean margarita and surprisingly delicious fish tacos! A west side slice of California dreamin'! Living near an ocean is something everyone here seems to take for granted. Whether it's 100+ plus degrees in the city or 60 degree winter weather, I think the beach is always a great idea. Even though I live 4 miles from the Santa Monica beach, I tend to prefer taking the drive down Pacific Coast Highway to Malibu, one of the most famous beach towns, and for good reason. Despite it's messed up water system (you can google if you really want to know) the beaches are in my opinion the most expansive and beautiful. They also tend to be less crowded then those closer to the city (Venice, Santa Monica, Marina Del Rey). My favorite beach is the one I end up pulling over to between Channel Road and the Malibu Country Mart (another great spot) on PCH, just on a whim from the spectacular view out my window. It's technically a different spot every time, but the key is less beach area during higher tides and wallah, you have a private beach. There are always parking spots available on PCH (even on weekends) if you do a little searching, its well worth it. 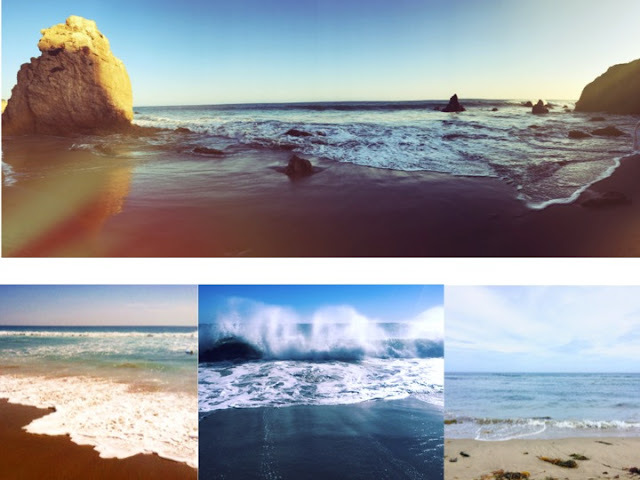 The only other more formal beaches I like to go to are Zuma, Malibu Lagoon State Beach and El Matador. They are great, but popular! I am not the biggest seafood eater but I LOVE oysters and I am obsessed with this place for many reasons. It's small, but delivers and has the very summery/east coast vibe that is hard to find here in Los Angeles. Did I mention it's across from the ocean? 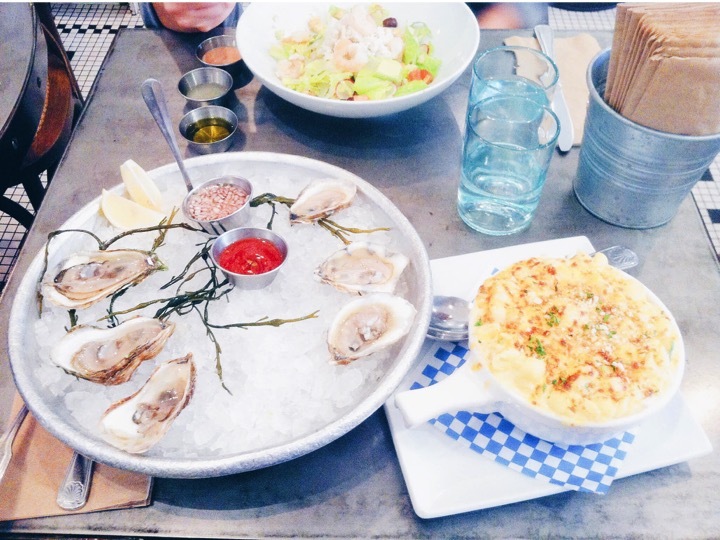 My ideal order: a half dozen combination of west coast/east coast oysters, french fries, a glass of rosé, mac n' cheese (plain but the lobster is also to die for), and of course, a lobster roll (preferably split with someone else, or not). I love coming here for a lazy post-beach or post shopping lunch. It's just a great spot located in the heart of downtown Santa Monica. One of Los Angeles' most historic homes, the former estate of Edward Lawrence Doheny Jr., the mansion is truly a hidden gem, now an official public park operated by the city of Beverly Hills. The mansion's architecture is described as "gothic and neoclassic" and completely unique to the more common Spanish style and Mediterranean homes native to Los Angeles. 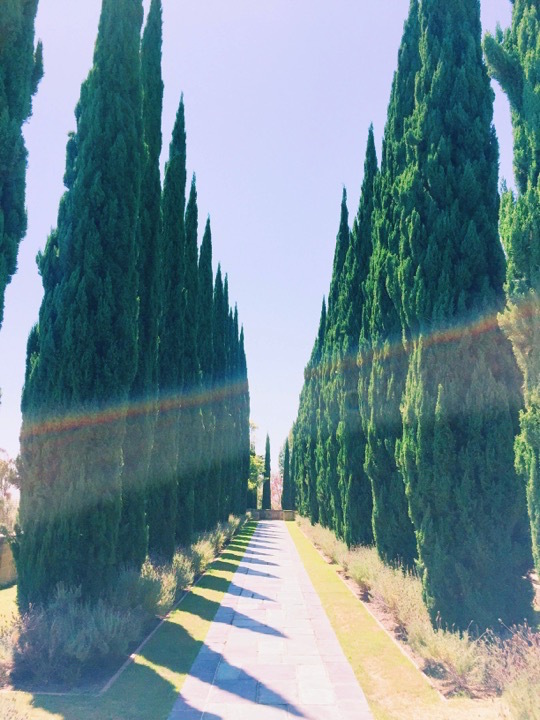 My absolute favorite spot at Greystone is the Italian cypress tree lined runway right above the mansion grounds. It's the perfect mix of estate-ly-ness (yes I made that a word) and whimsical charm. I just dream of a long dinner table with candles at dusk; I would win hostess of the year with such a setup! The grounds also include a nice garden, lilly pond and sweeping canyon views of the city. Although the interior of the mansion is closed off for private events, the adjacent patios are open to roam around. The main courtyard entrance is particularly nostalgic for me as Gilmore Girls was shot there, serving as Rory's high school and college backdrop, many more films and shows took place here too! Only in Beverly Hills would a mansion become a public park: welcome to Beverly Hills. 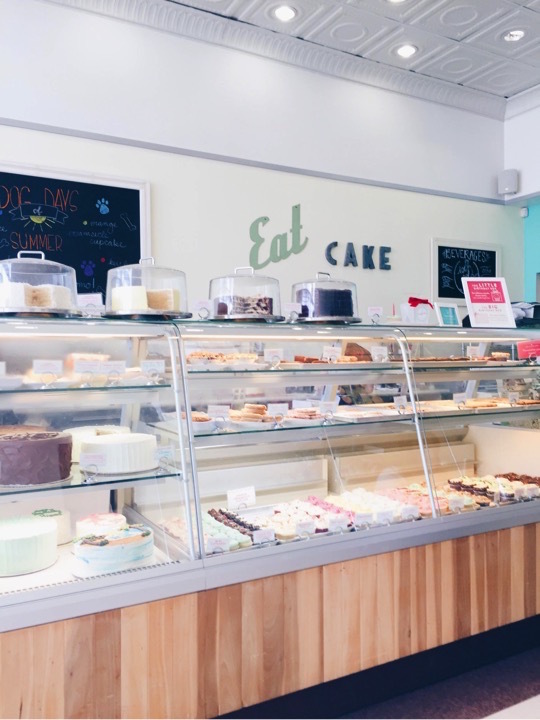 Let's just say I never really ate cake before Susiecakes, and to my own despair, have become a full fledged loyal customer, residing extremely close to it's very first location in Brentwood. The marble cake is by far the best, despite them being known for their red velvet. Any peanut butter loving nut like me would die for a small bite of the peanut butter whoopie pie, so rich, but soooo worth it! They have an amazing decorating team, who created a mini sketch of me on my graduation cake and a Veuve Cliquot themed one for another customer (who is obviously fabulous). The small doses of happiness, otherwise know as cupcakes, have become the perfect little surprises/cheer-ups between my best friend and I. I fully endorse sugar as a simple way to sweeten the day! As reported previously, this eco-friendly nail salon is truly something special. 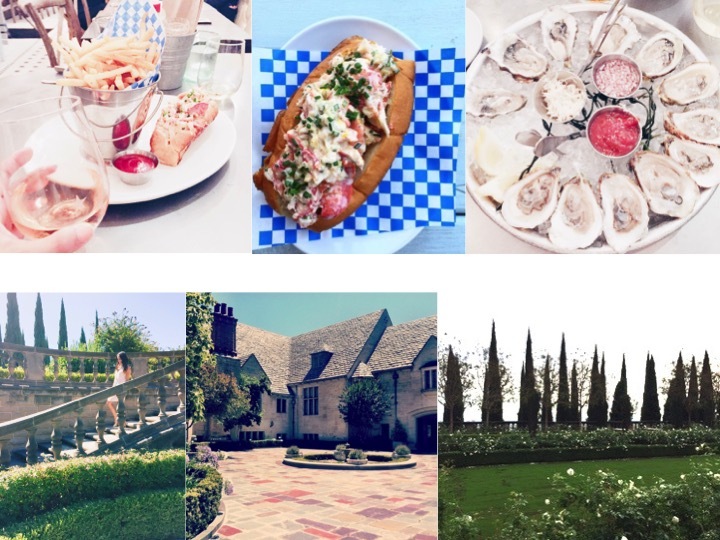 The theme here is south of France meets the Hamptons, and I absolutely love it. Aside from the bright and relaxed decor, all the products used are toxin free and otherwise safe to inhale. I don't have children but I'd imagine I wouldn't want to bring them to a traditional nail salon, let alone myself! 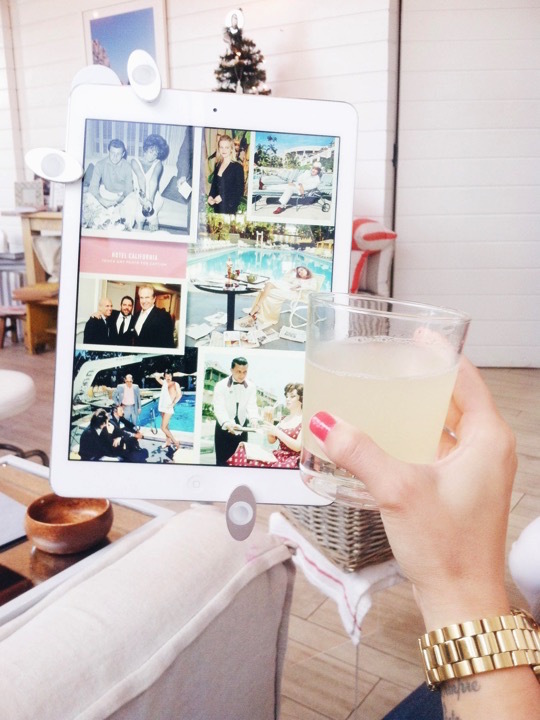 Côte has fully hand free iPods set up at each seat with full magazine subscriptions for a smudge free browse, liquid refreshments (including lemonade and rosé), an amazing outdoor patio for services and my ultimate favorite hammock swing seating out front. Oh and did I mention the entrance is a dutch door, painted in the sweetest shade of pink? Sold. Another amazing favorite place in Brentwood, Tavern is an establishment. I consider this place to be an upscale neighborhood spot, with three distinct dining areas, the larder (a bakery/cafe of sorts), the blue room, with amazing navy blue/grey lacquer walls, a long running substantial bar, wing backed chairs facing inwards in pairs, and some dinning tables running along the other side. 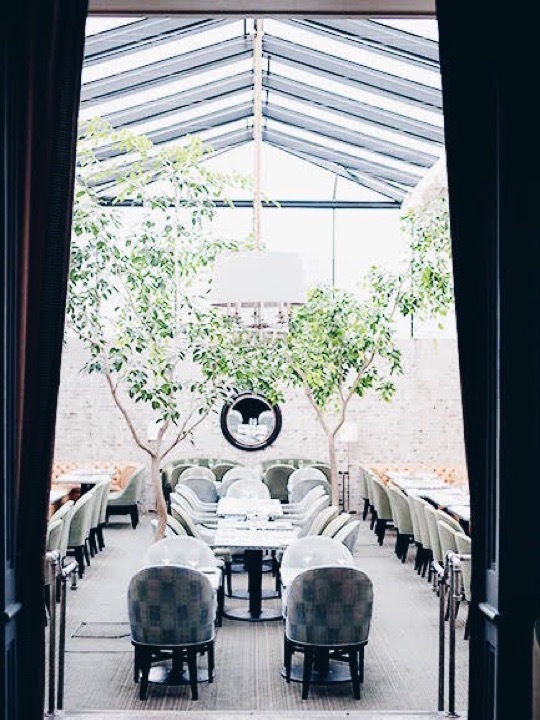 Most notably, Tavern has an open air, atrium that serves as a perfect formal dinning room, with trees and the best bright light pouring through for brunch. I love the green velvet love sofas used as chairs in the space and would expect nothing less then that truly comfortable, yet sophisticated style from decorator Jeffery Allan Marks. 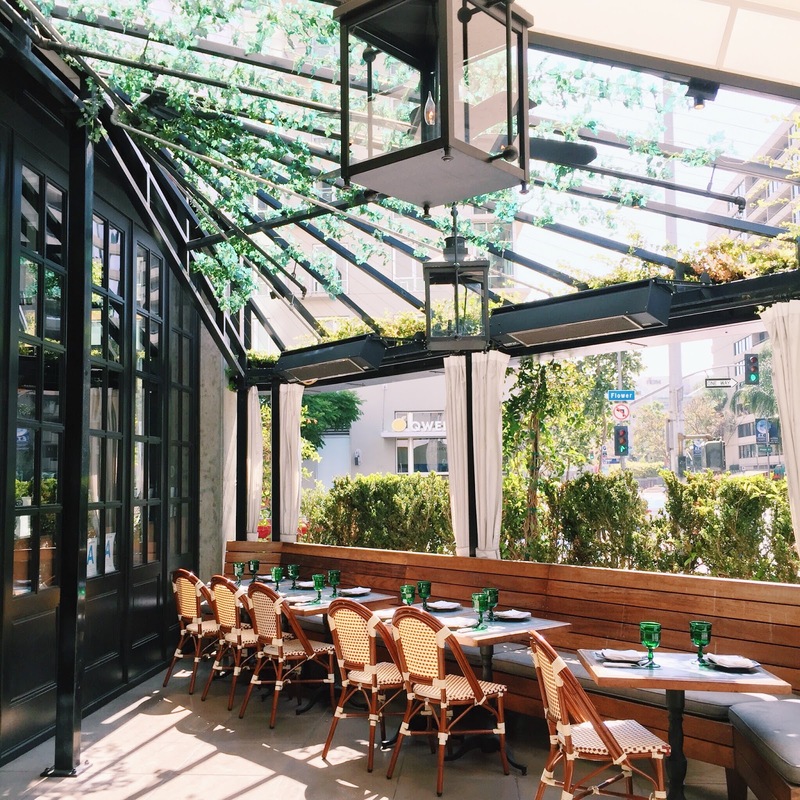 Tavern perfectly combines the character of a long standing English pub, with that laid back California luxury. It's grand in such a subtle way, and that's why I love it so much! My usual brunch menu item is the smoked fish plate and I ALWAYS save room for the homemade snicker bar, up for purchase in the deli and served with ice cream for dessert. You're welcome. 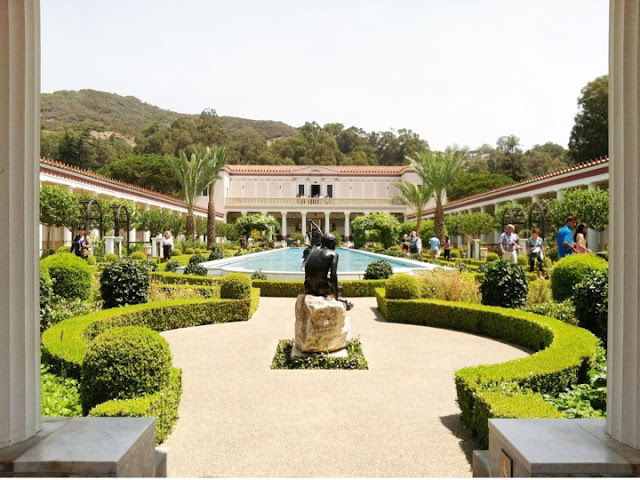 Created as additional gallery space for the late Paul Getty, this magical Mediterranean villa is now a museum loaded with glorious European art and a centerpiece fountain you'd be a fool not to Instagram. The grounds are spectacular and perhaps are even more the centerpiece of the museum then the art. General admission is free and must be reserved ahead of time online. The parking costs $20 and entrance is pretty much inaccessible any other way, but in my opinion, well worth it. 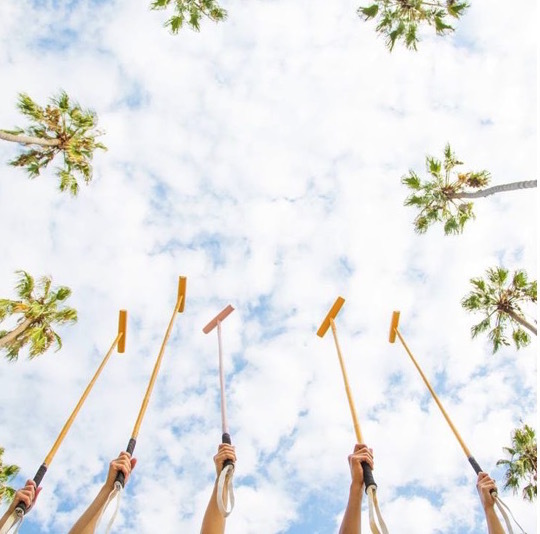 Its a great place to come alone or with friends and pick up a dose of culture in Los Angeles. Also, conveniently located just off PCH, it's a great stop on the way to Malibu or before the beach. Excited to share more guides soon!